iLEAD excels in the imparting the one of the best BBA education to students among the top BBA colleges in Kolkata. Among all the B schools in Kolkata iLEAD is one institute that has a well-structured curriculum for aspiring business professionals. It gives its students ample opportunity to work on their own projects and also manage their time efficiently for further research on various business management subjects. If you take a look at the official website you will understand that the course structures are very much handpicked and scientifically structured. Since we are living in a market where most things are job oriented and industry-driven the course structure of the BBA program in iLEAD is created accordingly. It takes into consideration the market requirements. Most BBA graduates from other colleges after 3 years of their course are not industry ready and the companies do not get what they are looking for in a candidate. The students are not to blame for this. From an early age, they are programmed to think that doing a BBA means you make money by profit in business, or just follow a company rule and meet targets. Very few colleges in Kolkata actually teach the students how to be innovative and dynamic in a competitive market. The stagnant educational belief systems have made this a problem. From board exams or even before that students think that getting the best score and the best salary is the only requirement. Then comes the turmoil of dissatisfaction where most potentially bright students are lured into a system that assures social security but no work satisfaction. The BBA course at iLEAD has seminars, field visits, interaction with industry icons, exhibitions, internships, and guaranteed job assistance. The soft skills class is a vital add on to the course. Today in almost every sphere of life and the industry soft skills is a vital requirement and there is almost no one to guide the young minds in the proper path. Added to this iLEAD has an intellectually stimulating infrastructure and several cultural events every month that helps the student to have an overall work, study, and recreational balance. Very few colleges in the city offer this kind of combination for progress. If you are looking for a BBA college in Kolkata iLEAD is the place to be. 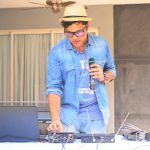 About Samrat: An editor for various publications and a faculty of Media Science at iLEAD, Samrat after a decade of dating and impressing the world of media can often be seen on Sundays at various Kolkata cafes with a guitar, diary and microphone. Literature, jazz music and thunderstorms helps him write poetry, reports and movie scripts which gets him compliments, published articles and awards from various countries at his doorstep when he least expects them. He has a knack for emceeing, teach and sometimes sing on stage and also completed courses in Photography and French (DELF A1) with distinction. His interests include AI, Philanthropy, Recycling and currently he is working as a teacher of Digital Media, Blogger and Content Writer at iLEAD.